Scanseal have been successfully clearing, surveying and repairing drainage for over 25 years giving us huge experience within the industry. Based in Surrey we use the latest equipment featuring cutting edge technologies giving you, the client, cost savings and peace of mind. 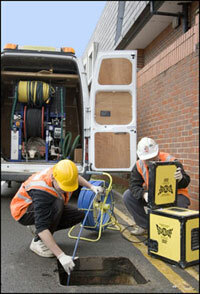 Where structural lining is not possible, our team are ready to carry out excavations to replace any damaged pipe work. 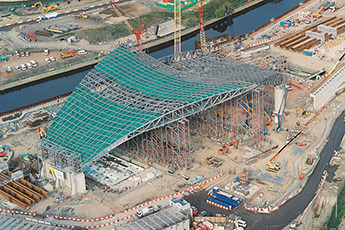 Working closely with our client Balfour Beatty, Scanseal are proud to announce our involvement in the preparation for the London Olympics 2012. 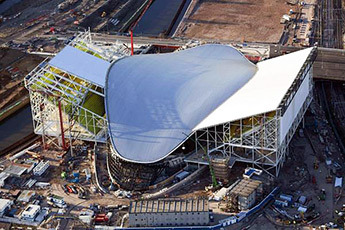 Using the full Scanprobe camera range we have managed to survey the completed foul and surface water drainage in the London Aquatic Centre, The Olympic Park, ranging from pipe sizes 100mm up to 300mm. Scanseal's general manager, Colin Morgan, says “We are very proud to be involved in the London Olympics 2012”.